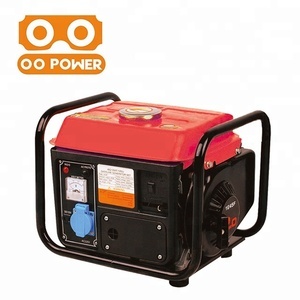 Wuyi O O Power Machinery Co., Ltd.
Supply you a good pre-sale, in-sale and after-sale service, We're not just working partners, but also friends and family. 4 . When you come to our factory, we will try our best to supply you all services to make you feel like at home. Q:Where is your factory located9 A: Our factory is in Jiaojiang, Taizhou city, Zhejiang Province, China. Zhejiang Huichuang Industry & Trade Co., Ltd.
Fujian Epos Electric Machinery Co., Ltd.
AC/DC circuit breaker ensure safety for its overload and shock circuit protection. Super quiet muffler with spark arrestor reduce engine noise. Spanish stickers for reference in South American countries. 3. 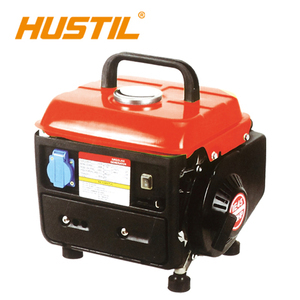 Compact in structure, low in noise & pollution and high in efficiency. 5.Q: What are your payment terms9 A: T/T 30% deposit, 70% balance should be paid against the B/L copy. 7.Q: What is the delivery time9 A : 15~20 days after receiving your deposit or original L/C. Weight 19kg Factory information Zhejiang Jet Machinery & Electronic Co. Jet yan),the company maintained its annual 20% or moreof the growth rate. Having passed CE,GS quality certification,so far products have been sold to more than 30 countries and regions. 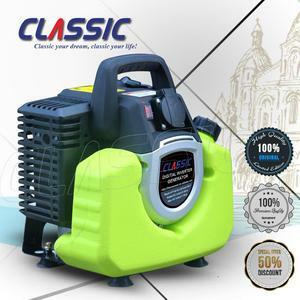 Compact Portable Multi Function High Pressurepower Generation 1200w/1000w Switch Oil Factory 950 Dc Gasoline Generator 1. Low Oil Shutdown System 2. Fuel Tank with Incorporated Fuel Gauge and Filter Neck Screen 3. Circuit Breaker Protected 4. Certificate: EPA,CE,SGS, EC-II, CARB. 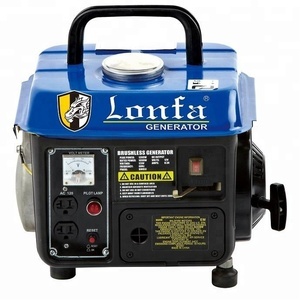 AC output/kW 0.72 3.8 5.5 Rated AC output/kW 0.65 3.2 5 Phase Single Single or 3 Phase Single or 3 Phase Rated AC voltage/V 110,230v 230,110/230 230,110/230 Engine type air-cooled, 2 stroke,single- cylinder 4-stroke,air-cooled, OHV Starting system Recoil Recoil/Electric Recoil/Electric Fuel tank capacity/L 2.7 25 25 Noise level db(A)/7m 89db(A) 96db(A) 97db(A) N.W/G. 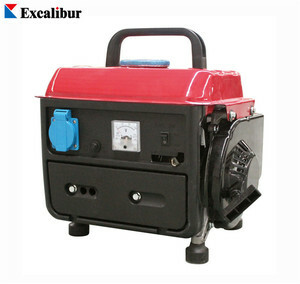 AC output/kW 10 9.5 Rated AC output/kW 8.5 8.5 Phase Single/Three Single/Three Rated AC voltage/V 115/230,120/240,220/380,230/400,220,230,240,400 Engine type air-cooled, 2 stroke,double- cylinder,OHV Starting system Electric Electric Fuel tank capacity/L 25 25 Noise level db(A)/7m 97db(A) 84db(A) N.W/G. Taizhou Lord Tool Co., Ltd.